Station F, billed as Paris’s answer to Silicon Valley, is a 34,000 square meter startup campus in France. With investment from billionaire Xavier Niel, Station F was officially opened by France’s President Emmanuel Macron in June 2017. There are over 3,000 desks available at the Station F campus. 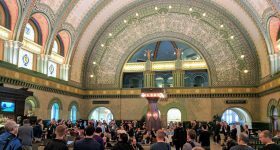 To support entrepreneurial activity at the former rail freight depot programs from Facebook, BNP Paribas, Thales and Niel’s own venture capital firm, Kima Ventures are available. 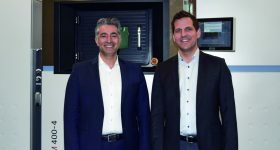 Now Usine IO, a product development consultancy service, has launched the second edition of the FOCUS Startup Accelerator program. Over the course of several months, a selected group of hardware startups will have access to the product development expertise of Usine IO. 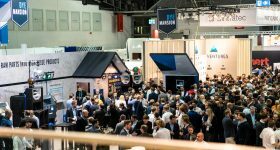 This year’s focus is Industry 4.0 and the program will be supported by Sculpteo, digital manufacturing and online 3D printing service provider. Sculpteo is a partner on the Usine FOCUS Accelerator Program. 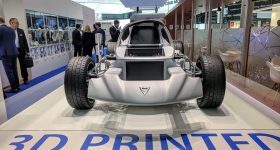 I asked Clément Moreau, Sculpteo CEO and co-founder, about how 3D printing is accelerating product development and can be used as a tool for hardware startups. 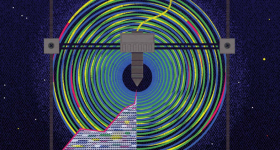 3D Printing Industry: For a long time, the majority of start-ups have been focused on software. 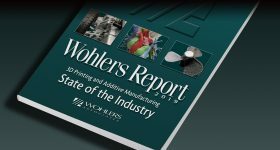 What are your thoughts about how access to 3D printing can encourage a new wave of hardware based start-ups? 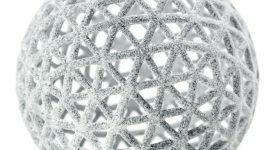 Clément Moreau: We see the benefits of the 3D printing (r)evolution as very similar to what advanced programming languages brought to computer science over the last decades. Whereas hundreds of crafted programmers [PDF] were needed to create a tech product in the 70’s or 80’s, a single MBA student in a dorm can create a successful website or mobile app today. 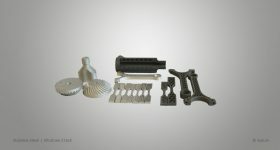 3D printing is (at least partially) the same for mechanical part of a hardware startup, it enables non-experienced people to start developing their own mockups, enclosure, and hardware device. Of course at some point you still need a good mechanical engineer or designer if you want to be very precise, but a software engineer, a graphic designer or a MBA-graduate CEO is able to start and field test its very own design for his product, before she needs to raise money from business angels. This is a game changer. 3DPI: Can you give us some specific examples of start-ups developing better and faster through the use of 3D printing please? Clément Moreau: Many of our customers actually use 3D printing to develop their products. For instance, Svarmi is a company which produces drones thanks to additive manufacturing. 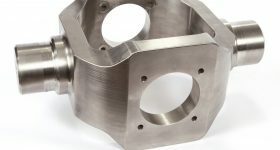 They even told us that using this manufacturing technique helped them save 40% of time in their product development process. 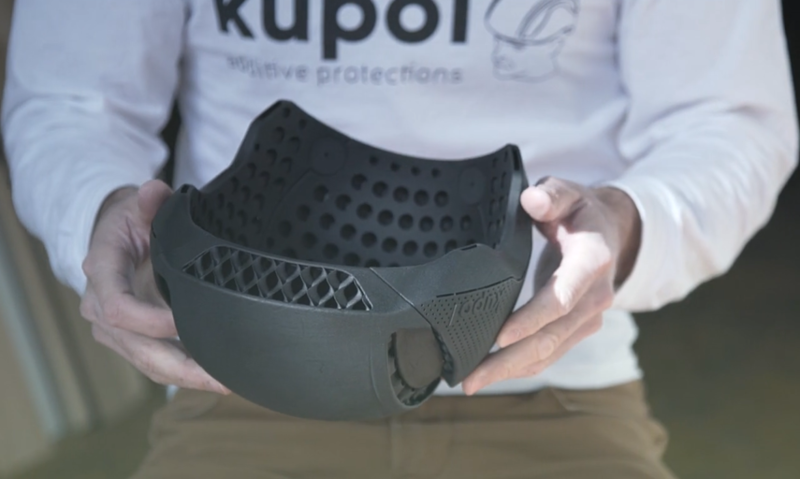 Also, Gabriel Boutin, an industrial designer, created Kupol, a startup which creates 3D printed bike helmets. He used this technology not only for production but also for prototyping. He explained to us that it has been a true asset, helping him to develop his product faster, efficiently, and at a lower cost than with other techniques. The Kupol bike helmet. Photo via Sculpteo. 3DPI: What are the kind of start-up projects you would hope to see more of? Clément Moreau: We believe start-ups have the potential to change daily life. Hardware startups are particularly interesting for this. 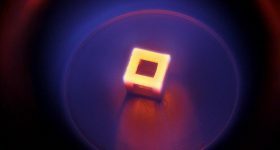 We think that 3D printing and associated technologies are key enablers to create more industrial players of all sizes, small and big. Consumer IoT, industrial IoT, personalized medical devices … those are very interesting fields that we hope will grow exponentially! 3DPI: Can you tell us more about the factory in the cloud please? Clément Moreau: The factory in the cloud is the concept that anyone can manufacture his own products, using Cloud-based manufacturing services such as Sculpteo’s online 3D printing service. When I say “anyone”, startups are of course included! The access to manufacturing technologies is simplified, which is a major asset for new businesses. 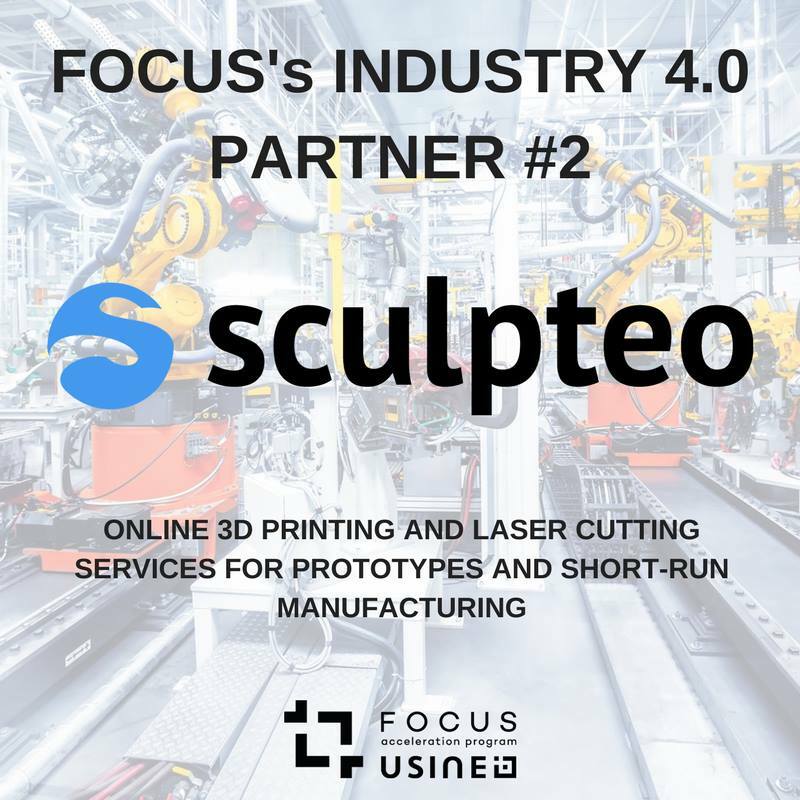 Usine IO plays its role of accelerator and innovator with an all-in-one manufacturing service integrated with Sculpteo. Startups can develop better, and faster. The factory in the cloud allows startups to overcome the constraints of manufacturing, such as the fees of the dedicated engineering departments or the round trips to the offshore factories. Hardware startups can develop functional products and test their real-world usage at a much higher pace!